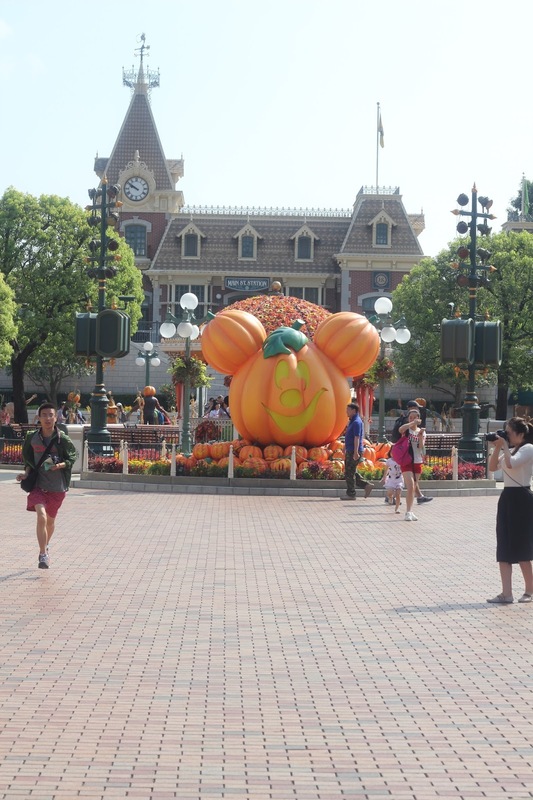 Last year in the October school holidays Matt and I travelled to Hong Kong and Shanghai to tick off two more Disney parks. I have a confession to make, I only just took the pictures off of my camera. Shocking, I know. Especially considering I had 6 weeks off over Christmas! I am the worst when it comes to doing things I'm supposed to be doing. 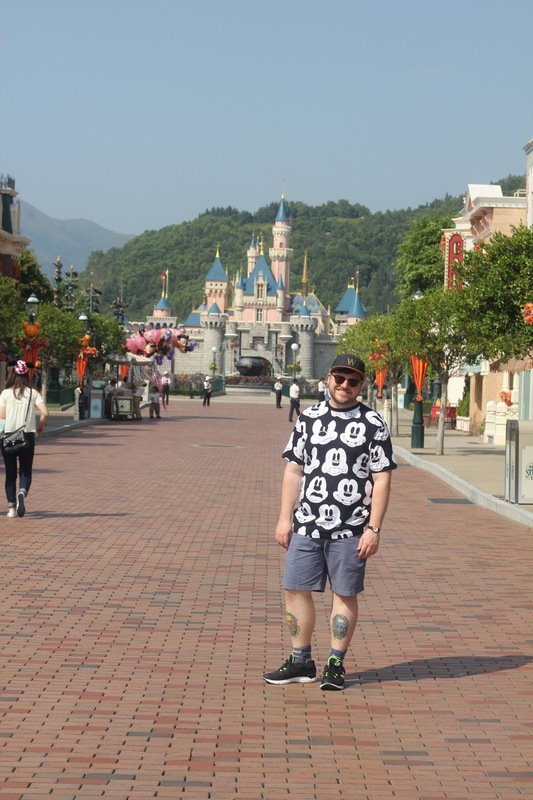 Anyway, I thought that I would do either a 3 or 4 part blog series on what we did, where we stayed etc with the first being Hong Kong Disneyland. I'm going to skip the Hong Kong city stuff and jump straight into the Disneyland. We didn't stay in a Disney hotel, and we never have, because we were seeing parts of the city as well, and as a whole we were only in Hong Kong for 3 full days. We woke up early so that we could get to Disney well before it opened so we would have time to find our way and buy our tickets. Hong Kong Disneyland isn't that big and as our time in Hong Kong was limited we only spent 1 day there, but we felt like it was more than enough. 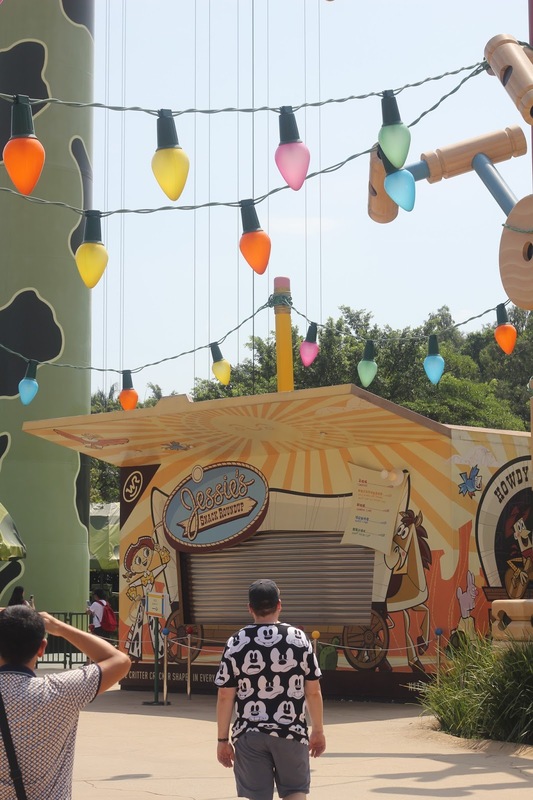 We aren't the type of couple that like to do things like character meets so I find that adds a lot of time to our day to get around the park and go on rides again that we enjoyed. I was THRILLED that they had Halloween decorations. I had wanted to see some after seeing so many other people posting pictures for years and finally got there at the right time of the year. I was disappointed in the amount of Halloween merchandise (aka not much) but I guess as a country that doesn't celebrate Halloween I can't expect them to have gone all out. The castle was tiny but oh so cute. I loved it, I want one in my backyard, or as my house. 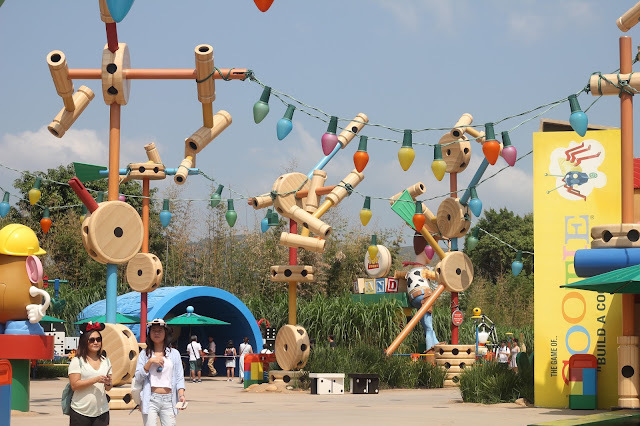 Toy Story Land is my favourite place. My favourite thing about Disneyland is the attention to detail, from the string lights to the giant alphabet blocks. It really makes you feel like you're a toy wandering in a house. Plus, Toy Story is my ultimate favourite Pixar movie so anything Toy Story makes me happy. Unfortuantely RC Racer was closed, thankfully we had been on it in Paris earlier that year so I wasn't overly disappointed. Hong Kong Disneyland was quiet and the lines were short which was excellent because it meant we got to go on our favourite rides multiple times without having to wait, such as Hyperspace Mountain. The only down side to it being quiet is that it means a lot of the snack stalls aren't open and I found being vegetarian in Disneyland (Hong Kong and Shanghai) quite difficult. I honestly just wish I could live in Disneyland, I don't think I'd ever get sick of it.